The Barbara Elliott Trust Fund for Innovative Ministry supports innovative and/or non–traditional ministries that find it difficult to secure regular funding. It was established in memory of Diaconal Minister, Barb Elliott. Applications are received annually, due February 11. Grants will be announced in March. The maximum grant awarded is $5,000. Financial support from the Barbara Elliott Trust Fund is for ministries that do not have secure regular funding. Funding should be seen as seed money to get new projects started, or for new aspects of existing programs, or to enable a one time special project, and not for support of ongoing work. A project is only eligible for one grant. Toronto, ON M8X 2Y4.Please remember to include your full mailing address and how you would like your name to appear on your tax receipt so that we can properly record and thank you for your gift. Open Sky Co-operative Ltd, residential farm to provide home, employment and community, NB. Open Sky Co-operative was established in 2011, in order to address a gap in services for adults who face barriers due to disabilities or mental health challenges in the rural community of Sackville, New Brunswick. The co-operative has a small farm within the town, providing residential, social and vocational support. Open Sky partnered with the National Homelessness Project, Chez Soi/At Home, last summer, offering 3 of their participants a 12-week vocational program on their farm. To view a video about Open Sky made by National Film Board about this experience, click here, (requires Adobe Flash Player, downloadable at get.adobe.com/flashplayer) and for their video annual report, click here. We need to question everything! What will this mean for women? Which women? Where would power be? Would this be oppressive to any group? 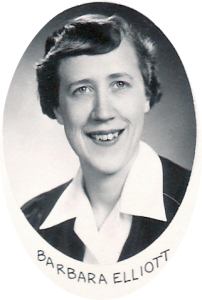 As a Diaconal Minister in Saskatchewan’s United Church, Barb Elliott pushed the boundaries of Christian feminist thinking in North America. Her feminists analysis challenged colleagues to question how their work affected the marginalized in society, especially women. she was a “founding mother” of Saskatchewan’s Christian Feminist Network and The Unbeaten Path, its newsletter. 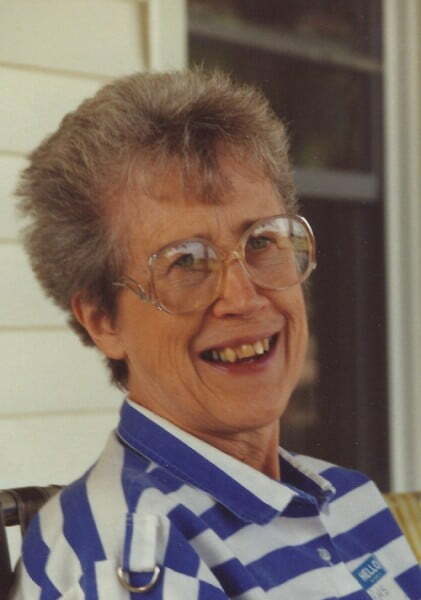 She pushed her church to practice what is preached in the way of justice and compassion and in 1980 helped introduce a motion for use of inclusive language in the Saskatchewan United Church. The motion passed but not without a hostile reaction. Barb Elliott died in November, 1992. A week earlier, liquid oxygen tank by her side, she [had] conducted a workshop on feminism and disabilities at a Christian Feminist Network Gathering, at the Prairie Christian Training Centre, in Saskatchewan. This biography is from the 2002 Herstory Calendar. (1) Elliott, Barbara, “Questioning Everything”, in The Barb Wire Collective, Charlotte Caron, et al. editors, Not All Violins: Spiritual Resources by Women with Disabilities and Chronic Illnesses, Toronto, The United Church Publishing House, 1997. (The book was published in honour of Barb.) Her words in this article are from the book.